“We come in peace!” said Italian engineer Diego Urbina, after exiting the sealed mock spacecraft from it’s simulated trip to Mars. This mock spacecraft took a mock journey to Mars that lasted 520 days, with 6 astronauts that were not allowed to leave the experiment. The purpose was to study how the crew reacted to such a long spaceflight. Luckily no one went mock space crazy. There were some “Colorful days” but most of the time spent was rather dull. In fact, that was one of the major research goals – to see how astronauts deal with loss of motivation and the work fatigue from long spaceflights. This problem is especially prevalent during the long trip home after all of the exciting exploration is done. Missions like this one are some of the ways that we are preparing for the arduous journey to Mars and back. 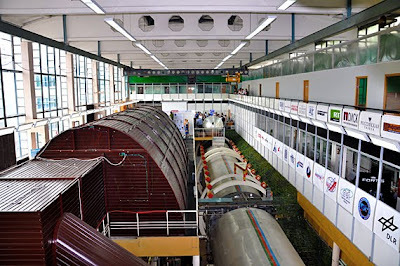 The experiment used four modules for the crew. 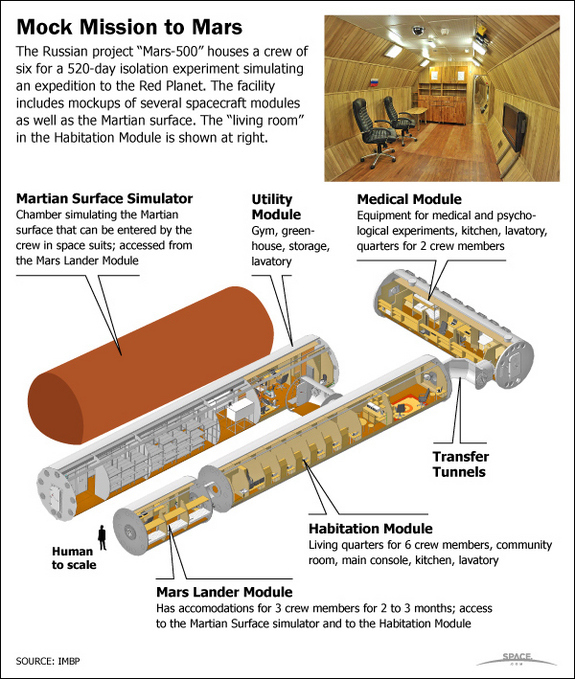 This included a Habitation module for most everyday living situations, a medical module which included physical and mental tests, a utility module with a gym and greenhouse, and a small lander module designed to mimic the small space a crew would be living in on the surface of Mars. The surface of Mars was another module, a 30ft by 18ft replica of Gusev crater – the site that the Mars Exploration Rover Spirit studied in detail. 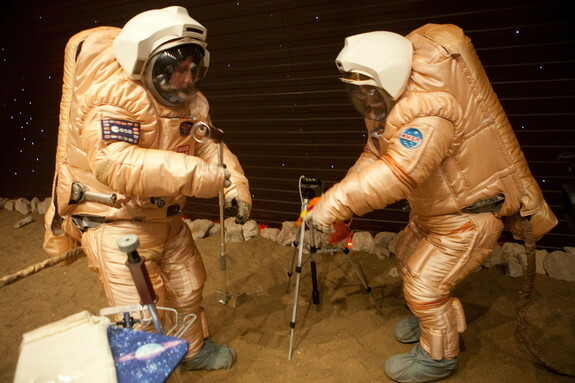 The astronauts did do simulated Mars walks in full spacesuits including scientific testing that would take place in a real landing. Not only did these experiments yield results in medical and psychological testing, but it also helped train the simulated ground crew that oversaw everything from the simulated launch to the simulated return of the crew. Now scientists have to sort through all of the data collected so that better follow-up experiments can be designed. The Russians have already mentioned another long duration test that they would like to run on the International Space Station so that they can include the effects of micro-gravity into their results. This could be possible sometime after 2014 and would probably include 2 astronauts for a duration of about 18 months. This wouldn’t be surprising considering that the whole test occurred at a special isolation facility at the Russian Institute for Biomedical Problems in Moscow. Indeed, Russia has the top seven spots for longest spaceflight by a human with the longest being 437 consecutive days. I’m surprised that nobody went nuts being confined for such a long duration but I suppose that means we are getting better at cramming people into small spaces for long periods. That’s a good sign because on a trip to Mars, there won’t be a way to just “step outside for a breath of fresh air’. 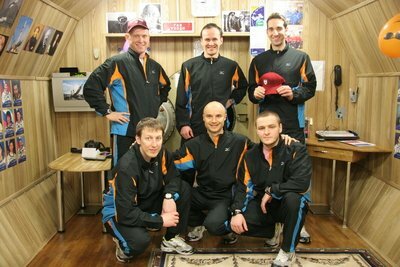 The international Mars500 crew is made up of Italian engineer Diego Urbina, French engineer Romain Charles, Russian physiologist Alexandr Smoleevski, Russian surgeon Sukhrob Kamolov, Russian engineer Alexey Sitev and Chinese astronaut trainer Wang Yue. There was a 7th member, Mikhail Sinelnikov who was to serve as a replacement if someone should drop out. It should be noted that no women were part of the long duration crew, not because of their gender but because "We looked at the level of proficiency, character traits, the ability to work on a team and many other qualities." The mock astronauts were paid about $97,000 for their 17 month flight.